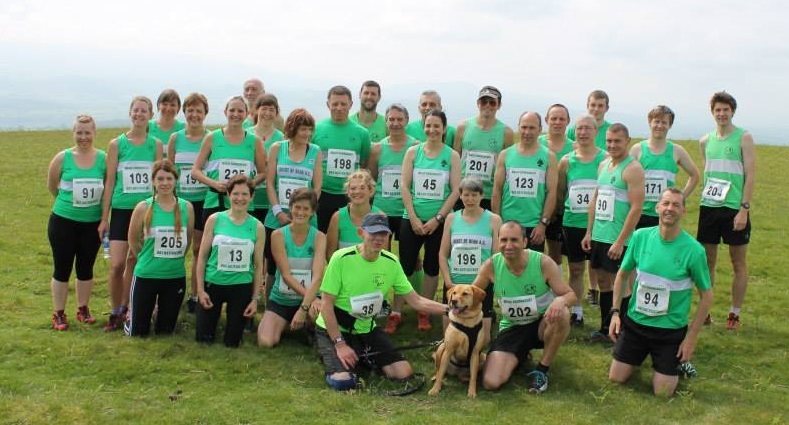 The Hay Hotfooters annual Magic Roundabout 10k race is staged in the Brecon Beacons and probably the most scenic race in the calendar. This attracted 35 Forest AC runners, the largest turnout this season and now earning them the title of the “green army”. The course is a tough one with plenty of hills but the wonderful homemade cakes at the finish are always a great incentive. First Forest man home was Peter Woodward and first lady Fiona Turner, who was running her first race after injury. Jacqui Wynds won the LV60 category. Race Times: 40.40 Peter Woodward; 42.52 James Dobbing; 43.24 Leyton Fleet; 43.54 Daren Smith; 43.55 John Russell; 44.26 Richard Pegler; 44.46 Marcus Bennetto; 45.18 Richard Powles; 45.43 Julian Boon; 48.37 Mark Blake; 49.14 Scott Berry; 52.55 Brian Francis; 53.34 Fiona Turner; 53.48 Chris Moore; 56.38 Carmen Rodriguez; 57.28 Lynne Park; 58.03 Alan Robertson; 58.21 Graham Bennetto; 58.30 Michael Marks; 58.35 Chris Hawkins + Dog (Maya); 59.37 Jackie Green; 59.38 Shirley Albrow; 59.44 Jacqui Wynds; 60.53 Stefanie Francis; 65.01 Catherine Lyne; 67.58 Ian James; 67.59 Anna Freeman; 68.20 Jo Babij; 68.26 Louise Mckenzie; 69.19 Vanessa Pegler; 69.50 Angela Bowkett; 69.51 Wendy Lawrence; 70.20 Sharla Fleet; 72.16 Eva Goodhead and 75.45 Bev James.